The record-breaking Aventador SVJ is losing its top for summer. 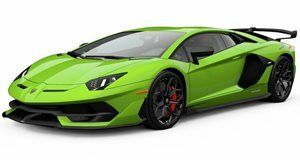 The Aventador may have been around for eight years now (a century in supercar terms) but in Lamborghini world that just makes it a well-developed vehicle. In fact, the best variants of every generation of the raging bull’s V12 range-toppers have always been the ones introduced near the end of their lifecycles. That is certainly the case with the Aventador as the 759 horsepower SVJ recently proved. That particular car is currently the Nurburgring production car lap record holder and will be the base for the SVJ Roadster that is coming to Geneva this year. The SVJ Roadster will be using the same 759 hp, 531 lb ft 6.5-liter V12 that is currently in the SVJ Coupe and it will also be given the same track-developed aerodynamic aids, suspension and four-wheel-drive system. 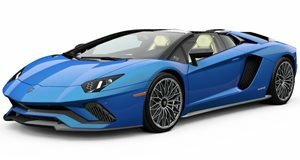 That means a new version of the Aerodinamica Lamborghini Attiva (ALA) system and active aero that helps increase downforce by up to 40 percent. The finished article will look far more aggressive than the current Aventador S Roadster and while there are no official images just yet, a render of the car in striking gold paintwork by graphic designer Aksyonov Nikita should be pretty close to what the SVJ Roadster will look like. As with the Aventador S, the SVJ will also have removable carbon-fiber dual roof panels that can be stored in the front trunk and the powered rear window that can be lowered or raised regardless of whether the panels are in place or not. This is a massive improvement from Lambo convertibles of old, which required expertise in camping just to erect the roof. Sales of the new roadster should begin during the latter part of the year, with production numbers for the SVJ Coupe being limited to 963 (including the ’63 Edition’ examples) the drop-top version is quite likely to be sold in similarly small number too. What's it like driving a $460,000 supercar? Just as spectacular as we hoped.